The biggest and most popular book event in Malta is being inaugurated today at the Mediterranean Conference Centre in Valletta. The aim of the five-day event is to encourage reading and literacy, promoting books as a medium of learning and enjoyment, engaging the public in intelligent discussion with writers and experts in various areas of study and academic interest, creating fun activities for both the young and the old, and giving a space for publishers and other cultural agents to present their work to the public. Numerous stands will represent both local and foreign publishers, bookshops, distributors and NGOs. Most of the participants have also preparing events with literary themes, including presentations of new publications and their authors, dramatic performances and discussions. The festival will be inaugurated today with the Terramaxka national book prize for children’s books. Tomorrow, the festival will open with a conference on the ‘Definition of Truth in Fiction and Non-Fiction’ which will offer the adult public the chance to engage with five brilliant contemporary minds who are among this year’s special guests: Rosie Goldsmith, the renowned BBC journalist, the US-born and UK raised novelist and poet Ros Barber, French novelist Gilbert Sinoué, Kuwaiti poet Shahd Al Shammari and local author Alex Vella Gera. Goldsmith will be leading a workshop on journalism. Another special guest for this year is Ahmad Said Abdel Moneim, an Arab publisher who will be delivering a talk on subversive literature in the Arab world. As is now customary, there will be an event to honour last year’s winner of the Lifetime Achievement Award. Author, poet and playwright Mario Azzopardi was awarded the 2016 prize for his extensive contribution to local literature and culture not just as a writer but also for his work in the fields of cultural journalism and literary criticism. Azzopardi was one of the founders of the Moviment Qawmien Letterarju, a revolutionary literary movement that played a crucial role in motivating Maltese authors to move away from parochialism and traditional folkloristic themes to treat topics of current social relevance. The event, scheduled for Friday, which will be the festival’s Poetry Day, will feature a short film on Azzopardi, an interview with the personality and readings of excerpts from some of his most important works. Also on Friday, NBC will be organising a second event in collaboration with the Maltese Poets’ Association, where apart from selected readings, the winners of the Mons. Amante Buontempo Poetry Contest 2017 will be announced. As usual, the festival will also include a thematic exhibition, to be housed within Perello’s Suite at the MCC. An art exhibition in different media – paintings, photography, digital art – inspired by works of Maltese literature will be open to the public for the entire duration of the festival and the works will be on sale. Students will be attending the festival on weekday mornings, that is tomorrow, on Thursday and Friday, and activities such as dramatic performances based on the winning titles of this year’s Terramaxka Book Prize are being prepared for them. In addition, there will be actors dressed up as well-known literary figures who will interact with the young visitors as they guide them through the stands and different features of the festival. A €3 voucher will be given to every student to encourage them to buy a book. Saturday evening closes the festival with a highlight event: a short film premiere in Temi Zammit Hall at the MCC. This year’s winner of the NBC PBS Short Film Contest is the company Mitħolma of Charles Stroud, who will be adapting Joe Friggieri’s short story Dritt Għall-Punt from his collection of short stories Nismagħhom Jgħidu (Kite Group, 2016). The director and the author of the story will be present at the event and they will engage the public in a discussion on film adaptation. 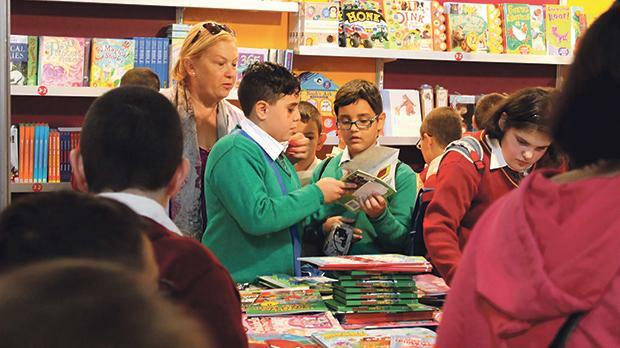 The Malta Book Festival will take place at the Mediterranean Conference Centre in Valletta from today till November 12 and will be open to the public mornings and evenings, including Saturday and Sunday. For more information, visit www.ktieb.org.mt.